Hi everyone. I'm Kuscera, a content writer from iPrima Media! Design Crosstalk was held last 12th of January at Consentino City Singapore. This is the first ever Design Crosstalk held in an upcoming monthly recurrence. The event was held to bring a few industry experts together. To discuss issues, challenges or upcoming trends in interior design. All which are important in affecting homeowners' design choices. The theme of this first-ever Design Crosstalk is “Designing Your Hotel Inspired Home”. All Singaporeans know they work too hard and deserve frequent getaways. Have you been on a trip recently and stayed at a place that left you wishing your home was that luxurious? This design crosstalk is here to rid all those “I’ll never duplicate that at home” woes. This crosstalk was held to help you turn your holiday inspiration into a reality. All in your own home without breaking your budget. The event started after guest arrival. Starting with an ice-breaking session to aid group activities and the Q&A session later. Then, event moderator Mr. Saba Hashim followed with a brief intro to the event. The Whys? Whats? And Hows? “Show of hands how many of you have been on a trip recently? Do you opt Airbnb over a hotel? How long ago was your last renovation?” directed Saba to the crowd to gauge what the panel was facing today and serve as a ground setter. He concluded the intro with hope for people to leave the event brimming with ideas, initiative, and conversation. Saba continued with the panel introduction. Left to right was Mr. Philip Chong of D5 Innovation, Mr. Darren Lim of Interior Design firm First Dot Design, and Mr. Ross Cameron of Cosentino. Each person gave a brief overview of their credentials and experience. To validate their spot on the panel. The panel introduction was followed by a 5-minute brainstorming session for guests. All were asked to visualize their best hotel experience and a few things they wish they had in their own homes. And then, guests shared their experiences as part 1 of the interactive panel discussion ensued. Then, guests were given a tea break. Shortly after, part 2 of the interactive panel discussion continued. After the panel, guests were allowed to mingle and the event concluded. Left to right: Mr. Saba Hashim (Design Crosstalk moderator), Mr. Philip Chong, Mr. Darren Lim, and Mr. Ross Cameron. The first panelist is from a Singaporean startup company, D5 Innovation. The company created software used for visualization purposes. D5 Innovation realized the visualization gap in the design consultancy process. So, the software is a comprehensive solution to this. The software is a 3D spatial design software. It aids homeowners and interior designers during the predesign and design phase. The second panelist is a representative for Interior Design firm First Dot Design. First Dot Design is an affiliate of Lim Chin San contracting firm. The company specializes in interior design and renovation works. The company helps homeowners and designers make the best use of their space. They advise homeowners and designers with space planning. They also provide project management services. They help homeowners have a breezy renovation journey. Besides that, they offer design and furnishing consultancy services as well as aid clients in color matching and material selection. First Dot Design has an ultimate goal in mind. And that’s to provide honest, hardworking, premium service. To all of its clients with regards to any type of project. 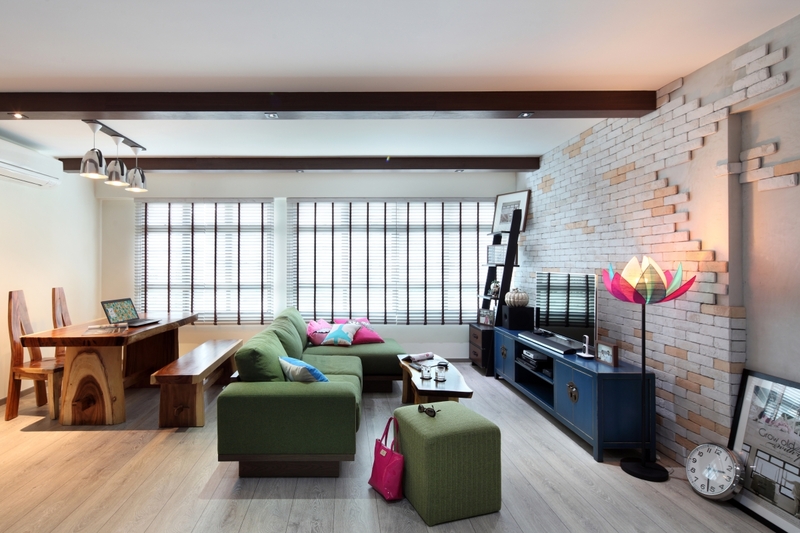 Mr. Darren has extensive experience in not only Interior Design, but construction too. Darren Lim has over 20 years on his resume in the field. What more apt person for Design Crosstalk panel right? Mr Ross is the overseer for Cosentino’s operations all over Asia. Cosentino, which owns the venue for this Design Crosstalk is a global specialist in surfaces for design and architecture. Cosentino Asia has a branch in Singapore, and branches soon in Malaysia and Japan. They also have distributors everywhere. Cosentino has every surface solution for every room in your house. Top to bottom, left to right: Soft industrial look, minimalist room, Asian themed decor, and an interplay of lights. When asked if the budget wasn’t an issue, what hotel inspiration would they recreate to achieve their dream home? Guests answered one by one. Some wanted Asian themed designs, the concrete industrial look softened with wood and minimalist decor. A glass and case bathroom, projector TV, and interplay of lights were mentioned too. Funnily, most people agreed that the focal point to any hotel room was its luxurious bathroom. And thus many wanted to recreate just that in their own homes. To get that focal point bathroom, the panelists had a lot of input. Mr. Ross from Cosentino said to opt for light-colored surfaces and furnishings to ease clean up. He also urged to get a very good quality tub if your home has space for one. A good tub is an investment as it could boost home value. Being a surface expert, he advised against choosing porous surfaces like marble for your bathroom. To add, one easy and cheap trick to recreate that hotel bathroom feel is to have music playing in there. It could really enhance your bathroom experience. When opting for building materials First Dot Design rep and construction expert, Mr. Darren had a useful tip. Always opt for humidity proof materials. The bathroom is a trove for moisture so be cautious when choosing materials. Another popular desire was those signature ambient lighting fixtures. First Dot Design rep Mr. Darren says to recreate this ambient lighting in your home, opt for cove lights or downlights. No other fixture can bring the same hotel lighting feel to a room. First Dot Design rep, Mr. Darren advised for aesthetics and the most versatility, opt for 3 toned lighting. Easily switch depending on your desire. Need to set an ambient feel? Switch to yellow light. Need to do work or read? Switch easily to bright white light. Don’t settle for a 1 tone fits all when you can have all tones for all needs right? Do Attend The Next Design Crosstalk! The organizers hope the Design Crosstalk was useful to all those who attended. And, they hope for more people to join in next month’s talk about decluttering and minimalism. Do look out for the announcement and come join the interactive session! The Design Crosstalk will have you leaving the venue brimming with new insight into the interior design world. Learn to be your own home interior designer. Come for the next Design Crosstalk!